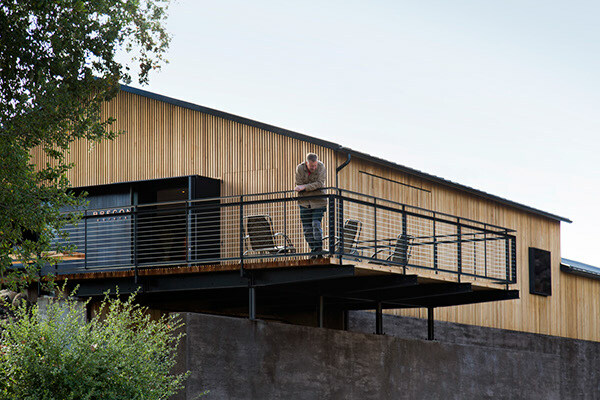 Located on the “Emerald Necklace” of Paso Robles’ progressive wine growing region, Brecon Estate Winery strives to reconnect its prized location with its wine and with its physical presence. 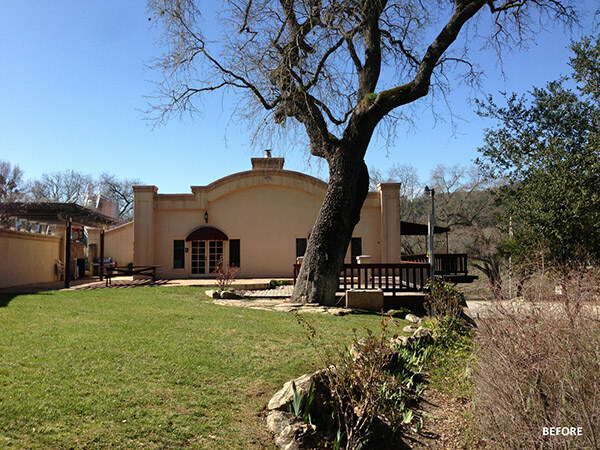 Phase one involves a complete facelift and reorganization of an existing production facility and tasting room. The previously-existing structure could be described as a “taco bell on steroids” and had virtually no relationship to the land that surrounded it. 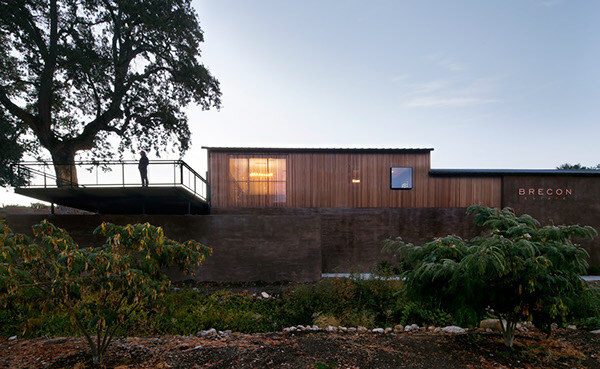 Brecon set out to return the building to its agricultural and pragmatic simplicity. Faux-historic decoration was stripped away, and replaced with earthen plaster and an untreated cedar rain screen. 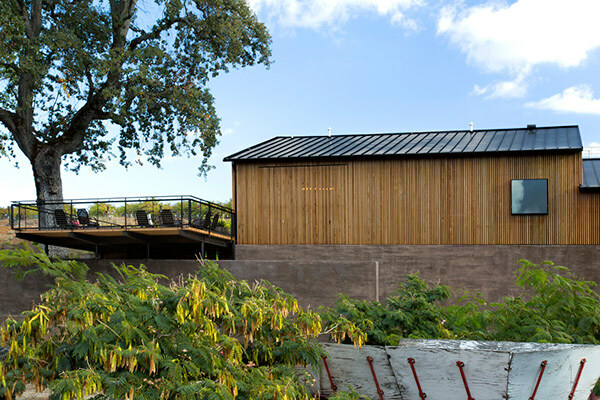 These naturally weathering materials will age gracefully, and are intended to reciprocate the agrarian structures found along California’s Central Coast. 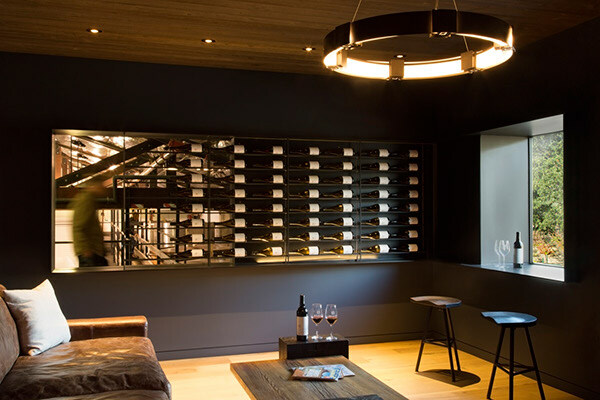 The visitor’s approach to the building’s tasting area was reorganized in effort to reconnect them physically and experientially to the landscape and the adjacent vineyards. 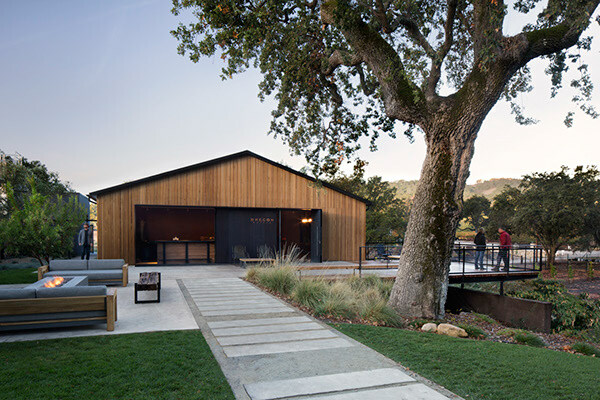 Revolving around a majestic oak tree, the tasting area connects indoor and outdoor space, and includes a large cantilevered deck, large pocketing doors, and a tasting bar positioned as a hinge between inside and outside spaces. Future plans call for a new production facility located in and on an adjacent hillside. It is hoped that this reinterpretation of place will reflect Brecon Estate’s authenticity, integrity and passion, and the role of place – terroir – in the making of wine. 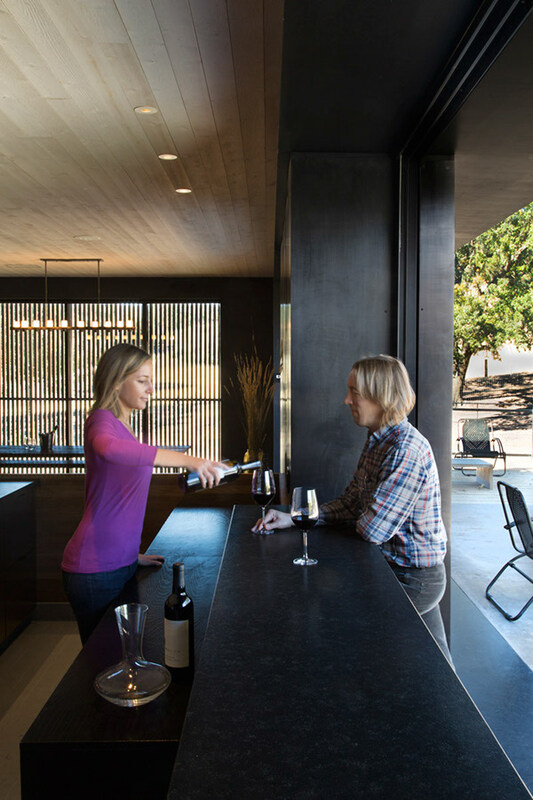 Located in an emerging and progressive wine appellation, Brecon Estate Winery strives to reconnect its prized Central Coast location with its wine and with its physical presence. 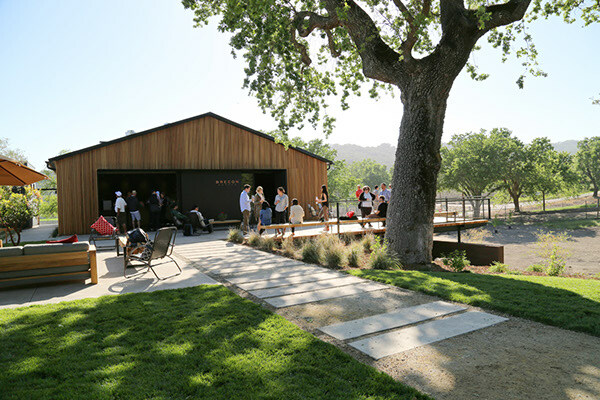 Phase one involves a facelift and reorganization of an existing production facility and tasting room, which had virtually no relationship to the land surrounding it. 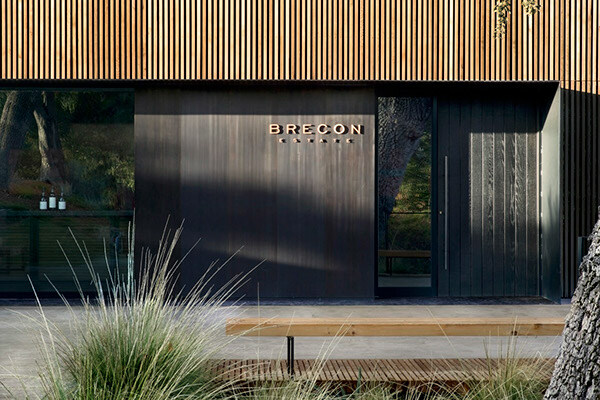 Brecon set out to return the building to its agricultural and pragmatic simplicity - stripping away faux-historic decoration, embracing the local agricultural vernacular, and centering an indoor/outdoor wine-tasting experience around a majestic oak tree. This reinterpretation of place is intended to reflect Brecon's authenticity and integrity, and its intrinsic connection to the land.